Updating your bathroom has a wide variety of benefits, including heightening the overall value of your home. In our latest blog post, we discuss the many benefits of updating this space in your home. When you decide to update your bathroom, you benefit from the opportunity to remodel the space which can improve the layout and add extra room. It can be difficult to envisage where things such as your sink and bath could move to when they are already in situ, however, an experienced bathroom fitter should be able to draw up plans that make the most of the space and compliment your lifestyle and use of the room. Updating any room, whether you’re just giving it a lick of paint or opting for a complete renovation, can greatly improve the aesthetics of the space. The bathroom is a space that we all use on a daily basis, so ensuring that this room is inviting to be in is a must. Take your pick from vintage and contemporary styles and create a space that suits your personality and rest of your home. The bathroom is one room in your home that potential buyers will eagerly eye up upon a visit to your home. Your bathroom has the ability to significantly increase the resale price of your home, so if you’re trying to decide what rooms to spend money on, this is a great place to start. The dedicated team at EGP Plumbers have been designing and fitting bespoke bathrooms for many years. Whether you have a large bathroom space and aren’t sure what to do with it, or feel stuck by the size of your small bathroom, we can help. 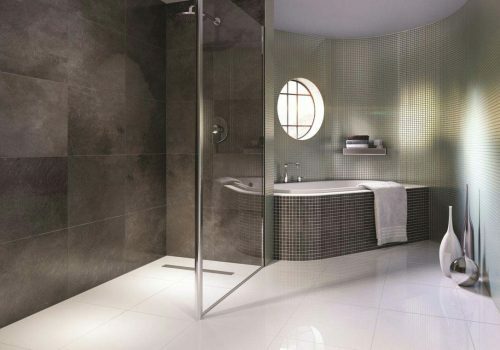 If you would like to speak to us regarding your new bathroom, we welcome you to contact us. Please call 0116 264 5115 or send your enquiry to our online contact form.